Family and friends of Iranian American scholar Kian Tajbakhsh vehemently deny the ludicrous charges being lodged against him today in the 4th of a series of Revolutionary Court show trials. Kian has spent nearly 50 days in illegal captivity in an undisclosed location and without access to a lawyer. He was forced under duress to make statements in the context of the first Revolutionary Court show trial held earlier this month. 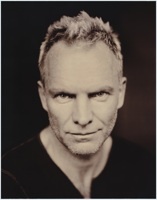 Sting makes appeal for Kian Tajbakhsh and Iranian detainees.